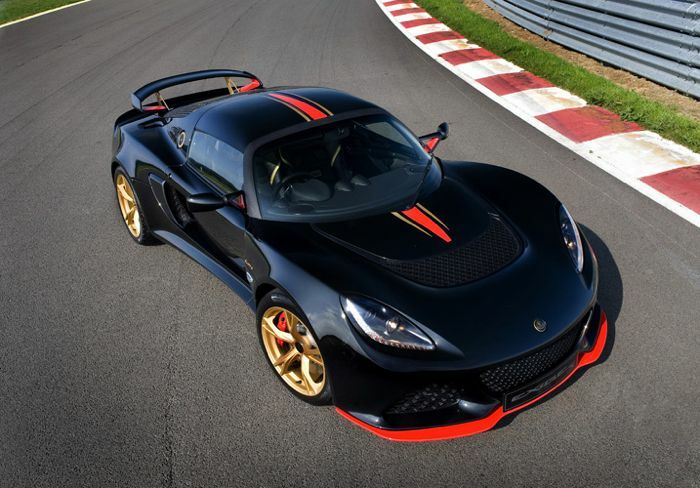 Lotus has announced a new limited edition version of their Exige, the Lotus Exige LF1, which according to the company is inspired by the 2014 Formula One season. 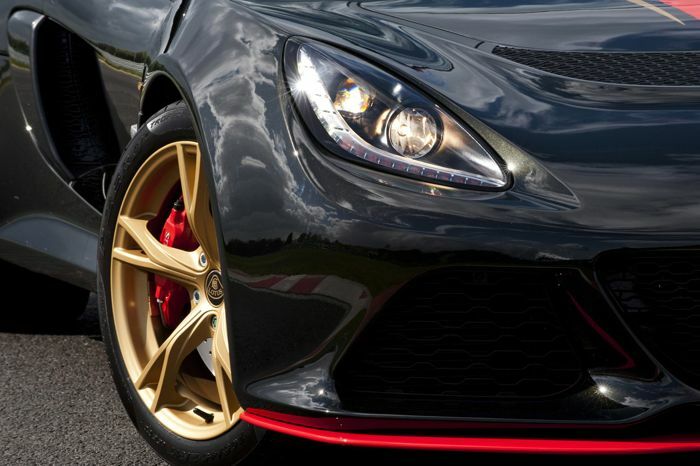 The Lots Exige LF1 comes with a supercharged 3.5 liter V6 engine from the Lotus Exige S, and it gets a new black paint job with red and gold accents. This summer 81 Lotus Exige S cars will receive a Lotus F1® Team inspired livery and interior trim to commemorate the number of grand prix victories held by the Lotus marque*. Delivering race-car thrills on the road and track, the critically acclaimed supercharged 3.5l V6 Exige S is well known for its focussed dynamic performance, now, with a striking bespoke black and gold paint scheme with red accents and gold 17” front and 18” rear cast alloy wheels, the Exige LF1 leaves no doubt as to its heritage or indeed to its intention! The new Exige LF1 also comes with gold 17 inch front and gold 18 inch rear cast alloy wheels, Pirelli P-Zero tyres, an Exige Race Pack with a Dynamic Management system. Inside the new Lotus Exige LF1 is a custom leather interior which matches the paint job, featuring a black leather interior with red and gold accents. This new limited edition Lotus comes with 345 HP and has a maximum speed of 170 MPH and it can travel form 0 to 60 MPH in just 3.8 seconds. Lotus have said that it will launch globally, excluding the USA,only 81 of this limited edition car will be made and prices will start at £62,900, you can find out more details over at their website at the link below.